First Nations Development Institute (First Nations) earlier this month acknowledged three additional underwriters for its recently-announced project to revitalize Native American languages. In August, First Nations announced a three-year project that will support language immersion education programs in tribal communities. 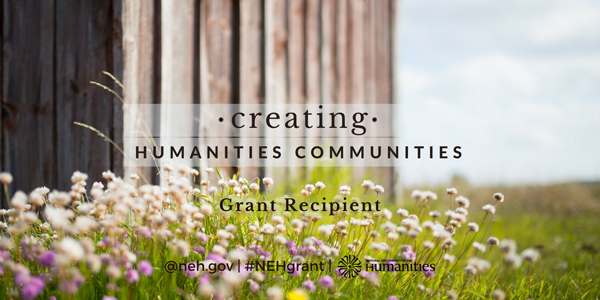 This $4.2 million project will aim to leverage a $2.1 million National Endowment for the Humanities (NEH) challenge grant with an additional $2.1 million in support from other private funding sources. On November 1, we were excited to announce we have received a total of $700,000 in matching funds for year one of this project from the following funding partners. “We are thrilled that these visionary organizations have stepped up in a big way to make this project happen, and we’re sincerely grateful for their support in helping retain and revitalize Native languages,” said Raymond Foxworth, First Nations Vice President of Grantmaking, Development and Communications. With these funding partners matching NEH’s contributions, First Nations will kick off year one of the project in 2018 offering nearly $1 million in direct grants to Native communities actively engaged in language immersion efforts. There are currently about 150 Native languages spoken in the U.S., many of them spoken only by a small number of elders. Without intervention, many of these languages are expected to become extinct within the next 50 to 100 years, which means a significant loss of cultural heritage. Under the project, First Nations will provide grant support for curriculum development, technology access, and recruitment and training of teachers for 12 Native language immersion programs a year during the three-year project period. Language retention and revitalization programs have been recognized as providing key benefits to Native American communities by boosting educational achievement and student retention rates. They also support community identity, Native systems of kinship, and management of community, cultural, and natural resources. Through new initiative, First Nations seeks to stem the loss of Indigenous languages and cultures by supporting new generations of Native American language speakers, and establishing infrastructure and models for Native language immersion programs that may be replicated in other communities. This is wonderful news! Do you have guidelines and a timeline for funding language revitalization projects developed yet? Same question as above with respect to guidelines and timeline. We only have 35 speakers left for our Tribe. Thank you.